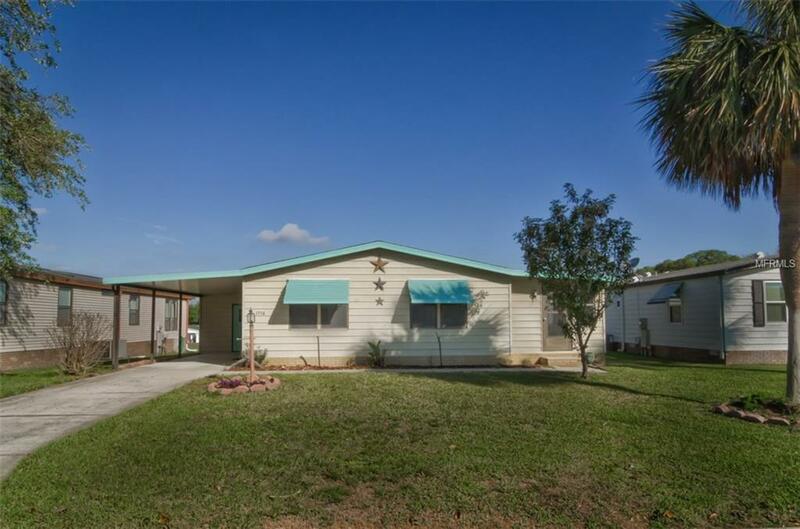 Lovely 2 bedroom 2 bath manufactured home, nestled in The Beautiful Orange Blossom Gardens. In The Villages on the golf course. This property overlooks the Seasonal pond with ducks and wildlife. Open and spacious with Large great room, and dinning room has a built in china cabinet. New roof (2017), hot water heater (2018) newer a/c, freshly painted and new vinyl plank flooring through out. Home offers natural light with large windows and skylights. Sliding glass doors lead to the enclosed lanai, with heat, air and separate entrance. Attached carport and large utility shed with washer and dryer. Live The Villages lifestyle with pools, golf, shopping, doctors and super close to Spanish Springs square with a golf cart. Perfect for homeowner or investor.